“I had a big reminder that life is short…winning my battle against cancer just fueled my desire to live out my life long dream of becoming a professional singer,” says Finken. Past trials considered, some friends and family thought she had gone insane when she announced last year that she was moving out of her apartment so she could save enough money to make an album. “ just decided one day that I was going to go for it.” remembers Finken. “I bounced around between friends couches and stayed with my Dad when I had my son. It’s not like I was living under a bridge or out of my car…although there were a few nights I did have to stay in my car,” laughs Finken. The finished product one year in the making is Soul on Display, Bonne’s debut album on Authentic Records. Soul on Display successfully mixes Bonne’s soulful lyrics with her blistering rock vocals sung over deep melodic grooves to create an album experience that is both one of a kind and unforgettable. 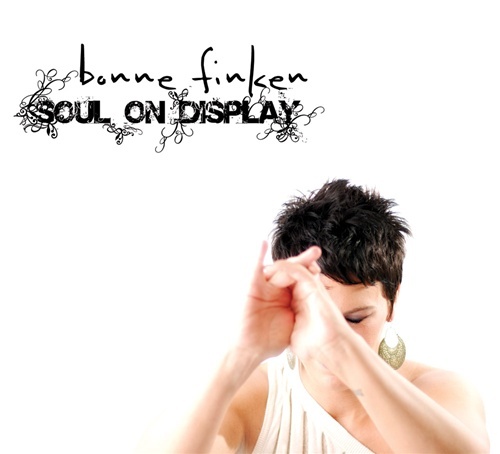 Along with her unique and sultry voice and heartfelt vocal stylings, Bonne Finken nearly explodes off the stage giving an emotional and energetic performance that will make her hard to forget long after you’ve left one of her shows. Prior to her work on Soul on Display, Bonne honed her vocal skills as female vocalist in four separate bands; one hip-hop, one rock, one funk and one R&B pop. Having touched so many genres, Bonne Finken and her band, the Collective, now are prepared to unveil a new genre all their own.